When you want to cool off, bypass the pool and consider the other, more interesting water adventures available to you. 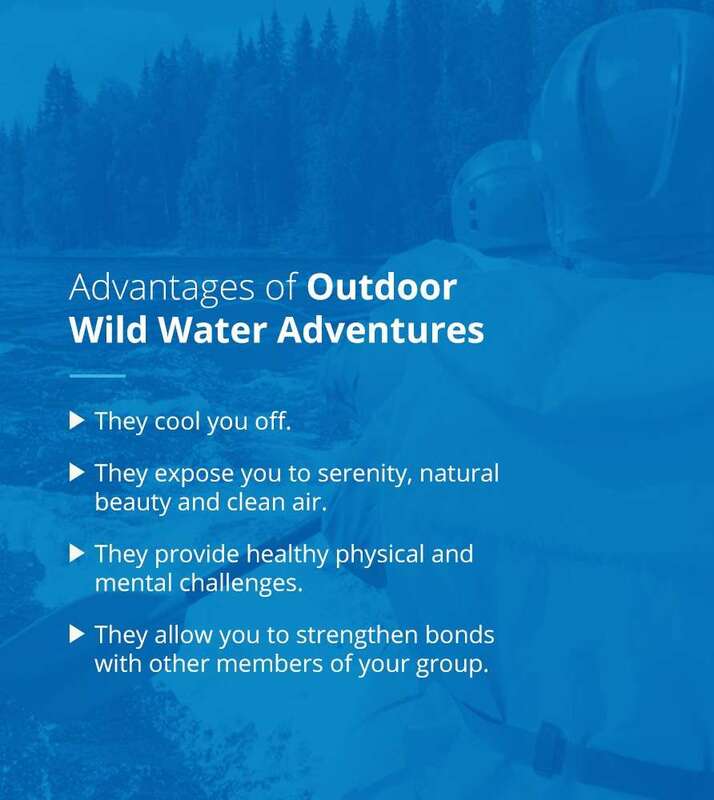 We’re talking about water adventures that don’t just cool you off, but also challenge you and create lasting memories. These could be anything from rafting and scuba diving to kiteboarding and stand-up paddle yoga. If you’re lucky enough to live near Atlanta Georgia, all of these wet and wild adventures are within a few hours’ drive. Due to the mild climate and long summers, Georgia has an abundance of water activities. We’ve chosen 10 of the best water adventures near Atlanta that you and your family and friends may want to enjoy. Here are our top 10 outdoor water activities around Atlanta. One of the most relaxing ways to enjoy the water is by floating down a river in a tube, and the Chestatee River offers some of the best river tubing near Atlanta, Georgia. With Appalachian Outfitters, you can enjoy a 30- to 45-minute tube ride along this beautiful and serene waterway for only $6 per person. And once you finish, you can hike a nature trail back to the point along the river where you were dropped off and take a tube for another float. If you’re feeling less energetic, you can also take the shuttle back up for just $2. The Chestatee is an excellent river for tubing, as it is not as crowded as some of the other rivers in the area. It is also considered a mild river, which makes it a great option for groups with young children, who must be at least 4 years old to ride. Appalachian Outfitters is located at 1182 Golden Ave. in Dahlonega and is open Memorial Day Weekend through Labor Day Weekend. If you’re interested in scuba, you don’t have to make a long haul to the ocean — you can actually go scuba diving near Atlanta. Thanks to Kraken Springs Watersports Park, you can enjoy this unforgettable experience in the open water quarry just north of the city. For just $30, Kraken Springs gives you the gear you need to explore from 20 feet to 155 feet below the surface. Once you’ve finished your dive, you can go shopping at the dive shack or eat at one of the pavilions on the property. This quarry has well-maintained underwater platforms, recently renovated entry and exit points, and restrooms with changing areas and showers. Temperatures in the quarry can be in the low 40s, so you should bring a drysuit. Kraken Springs Watersports Park is located at 801 Old Tennessee Highway in White. If you’re a yogi looking for a new way to practice your discipline, Soulful Yoga offers an innovative activity called Stand-Up Paddle (SUP) and Yoga, where you bend, stretch and feel the peace while on top of a paddleboard floating in the water. Come in for a workshop, and you’ll leave feeling peaceful and connected. Practitioners of all skill levels, even beginners, are welcome — as long as they’re able to swim. Make sure to come in comfy clothing and bring along sunglasses, sunscreen, water and a towel. You can also enjoy a private guided tour of Lake Lanier, Lake Acworth and the Chattahoochee River, known nationally for its many recreation options. Soulful Yoga has several locations in the greater Atlanta area. There are few better ways to relax on a hot summer day than by boating out on a lake, and no better lake to do this on than Lake Rabun. Nestled away in the North Georgia mountains, this meandering lake is fed by the Tallulah River. Because of the lake’s breathtaking beauty, many people have chosen to build their dream houses on its shores. This lake, which is 835 acres and boasts 25 miles of shoreline, is an ideal location for boating, skiing or just taking in the majestic scenery. Visit the Rabun Boathouse to rent pontoon boats for cruising, fishing or just kicking back and enjoying the views. Renting a boat on this beautiful lake is great for family reunions and birthday celebrations. A half-day rental costs $250 and a full day is $350. If you happen to visit the lake on the 4th of July weekend, don’t miss the wooden boat parade or the Rabun Ramble Road Race. Rabun Boathouse is located at 1897 Lake Rabun Road in Lakemont. Margaritaville at Lanier Islands is a fun and more affordable alternative to the more expensive water parks closer to the city. This 1,500-acre park is full of attractions to keep the whole family entertained, including sandy white beaches, giant water slides, amusement rides and one of the biggest wave pools in Georgia. There are also lots of opportunities to swim at the park’s private sandy beach. You can even enjoy some dining and nightlife at the License to Chill Bar. If you’d like unlimited access to the park during the summer months, you can take advantage of the season passes. Margaritaville at Lanier Islands is located at 7650 Lanier Islands Parkway in Buford, only a half-hour car ride from downtown Atlanta. The park opens in April. This popular water resort just outside of Atlanta is home to many water attractions, including thrill rides, the Atlanta Ocean wave pool and Captain Kid’s Cove. One of its most exhilarating attractions is called the Wahoo Racer, a 60-foot-tall slide where you race against five others. Hop in a water toboggan and speed through tubes at 40 feet per second. This popular park has been in operation since 1984 and boasts 69 acres of attractions. Regardless of your age or ability, you will find rides you can enjoy at Six Flags White Water. You can rent lockers by the day, and groups who want more privacy are able to rent private cabanas and food service. Six Flags White Water is conveniently located in Marietta at 250 Cobb Parkway N #100. The park opens in May. Head to Georgia’s Southern border to take in the alluring and mysterious Okefenokee Swamp, one of Georgia’s Seven Natural Wonders. From a canoe or kayak, you can enjoy Spanish moss, wading birds and alligators. You can obtain kayaks and canoes at the east and west entrances of the park. At the swamp’s east entrance in Folkston, you can go to Okefenokee Adventures and book an excursion to see the Okefenokee National Wildlife Refuge. You have the choice to boat, canoe or kayak for a half or full day with professional guides. You can also admire the beauty of the swamp by taking a drive on Swamp Island Drive, walking the boardwalk or climbing to the top of the observation tower, where you can enjoy a bird’s-eye view of this fascinating ecosystem. Are you interested in seeing state parks near Atlanta? At the west entrance of the swamp, check out Stephen C. Foster State Park. If you’re a stargazer, this park will be particularly appealing, as this park is a Dark Sky Park, or park with little artificial light in the sky, making it ideal for viewing stars. Guides here also lead nighttime paddle excursions and astronomy programs. Daytime excursions are equally enthralling, as you can witness amazing landscapes and wildlife such as alligators, raccoons, turtles, black bears, herons, wood storks and many other species that call the Okefenokee home. It is believed that 12,000 of the largest reptiles in the country live in the refuge. If you would like to take a pontoon boat tour with a guide, we recommend making same-day reservations. If you’re feeling more adventurous and would like to explore other things to do, including a visit to the historic Billy’s Island, you can also rent kayaks, canoes or jon boats. If you enjoy fishing, this lake is a great place to do it, as warmouth, bluegill, china pickerel, bluefin and catfish are particularly abundant. You don’t have to drive all the way to the Atlantic to swim at a beach — there are actually beaches near Atlanta, Georgia! Callaway Resort & Gardens has the distinction of having the world’s largest man-made white sand beach. This beach, Robin Lake Beach, is one of the resort’s hottest spots during the summer season, as it offers a wide variety of water sports that include water skiing and tubing. Of course, if you can just kick back on the beach and relax as well. But the beach is far from the only thing Callaway Gardens has to offer. The resort packs an abundance of attractions into its 2,500 acres, so you’ll never run out of things to do. You can hike, relax at the spa, go fishing and check out the recreational centers, which include a huge butterfly habitat and a memorial forest. You can also get in some biking while you’re here, as the Discovery Bicycle Trail is considered the most convenient way to access all of the resort’s attractions. If you happen to be coming on Memorial Day weekend, you can catch the Masters Water Ski and Wakeboard Tournament. Callaway Resort & Gardens is just a half-hour drive from Columbus and an hour away from Hartsfield-Jackson International Airport in Atlanta. The main entrance is at 17800 U.S. Highway 27 in Pine Mountain. Tybee Island is a piece of land that sits between Savannah and the Atlantic Ocean. It is an ideal location for kiteboarding due to its low surf, predictable winds, easily accessible beaches and flat water riding. In fact, the island boasts multiple kiteboard-launching locations, kiteboarding shops and a kiteboarding school, which has been certified by the International Kiteboarding Organization. For those who are unfamiliar, kiteboarding is a sport where you ride along the water on a board while being pulled along by kite similar to those found in parasailing. If you’ve never tried this unique water activity and are in decent shape, we recommend that you take a lesson with AOK Watersports. Its comprehensive five-hour course costs $450. When taken with AOK’s experienced and well-trained guides, kitesurfing is a fun, easy and exciting experience. In addition to kiteboarding lessons, AOK Watersports also offers paddleboarding tours, paddleboarding classes, paddleboarding rentals and much more. It also sells an excellent selection of kiteboarding, paddleboarding and skateboarding equipment. AOK Watersports offers guided paddleboard tours that allow you to see some of the nearby attractions, including the Intracoastal Waterway, Savannah and, of course, Tybee Island itself. The #1 attraction on our list is rafting on the world-famous Chattooga River, which is located in Georgia’s wild, untouched northeast corner and serves as the border with South Carolina. In the spring, summertime and fall, you can see white water rafting enthusiasts tackling this river’s exhilarating rapids. 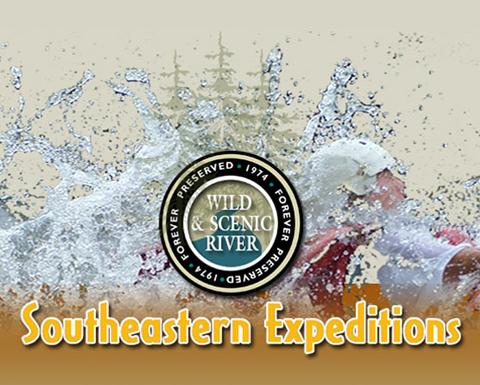 Southeastern Expeditions is an excellent outfitter for this river. We have well-trained, experienced guides who teach guests all they need to have a safe and exciting rafting adventure. Rafting on the Chattooga River is particularly good for corporate team building. Kayaking trips are also available here. Southeastern Expeditions is located at 7350 Hwy 76 E in Clayton. Man-made water attractions refer to pools, water parks and other artificial constructions, which tend to exist close to large population centers or in areas where natural bodies of water are not available for swimming. People often choose these man-made attractions for their convenience, as they are typically located in or near cities. This contrasts with water attractions found in nature such as rivers and lakes and waterfalls, which you usually find in less-populated areas near Atlanta, Georgia. These bodies of water are often cleaner than man-made attractions and feature undisturbed natural beauty. They expose you to serenity, natural beauty and clean air. They provide healthy physical and mental challenges. They allow you to strengthen bonds with other members of your group. White water rafting, boating and kayaking in wild & scenic rivers are some of the best things to do outdoors near Atlanta, Georgia. So by all means, take in the tourist attractions in Georgia, like the world’s largest interactive water fountain show at Fountain of Rings, but balance them out with a healthy dose of outdoor fun as well. As you might imagine, water activities in Georgia are most popular when the weather is hottest — which means that these dates are the quickest to get booked well in advance for certain activities. If you plan to go during the middle of the season, book your dates as soon as possible. Otherwise, try to book early or late in the season, when fewer people will be vying for spots. At Southeastern Expeditions, we believe that our white water rafting trips are the most valuable water adventures that you can have. Our experienced and friendly guides are passionately committed to providing you with all of these positive experiences — and they do so as safely as possible. Check out the rafting trips we offer to find one that matches your experience level. If you have any questions or to book your advenure, contact us at 1-800-868-7238.